President Trump likes to says things like, “Obamacare’s dead, it’s gone.” More traditional Republicans — i.e., ones who don’t talk like characters in Goodfellas — express the same idea in more highbrow terms. “You have to remember the law is in what the actuaries tell us [is] a death spiral,” Paul Ryan told reporters earlier this year. Actually, the actuaries have never said this. A death spiral isn’t just a term people who hate Obamacare get to use to predict that the law is going to fail because they hate it. 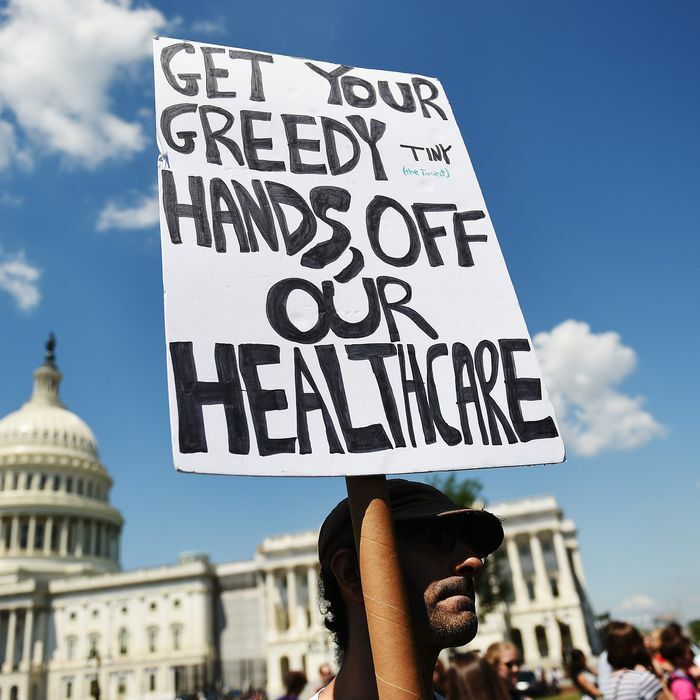 It’s a specific phenomenon that can happen to insurance markets, in which the risk pool gets increasingly unhealthy, driving up prices and forcing healthy people out until the price level is unsustainable. Independent private-sector analysts, like S&P and the American Academy of Actuaries, have both found that the exchanges are not in a death spiral. 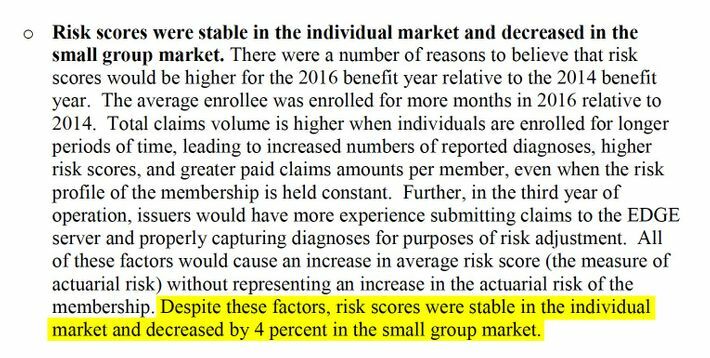 The “risk score” is a measure of the health status of enrollees. If the exchanges were going into a death spiral, the risk scores would be rising fast. They’re not, according to Trump’s own government.